This is the quintessential Music Together® class, one that a child can attend all the way from birth to Kindergarten, rotating through all nine of our beautifully published song collections along with three special compilations during the summer. This highly engaging class follows the recommendations of child development researchers – that grouping children of a variety of ages fosters natural, family-style learning. Younger children enjoy watching and imitating older ones; older children learn by leading younger ones; and adults are happy because all the young children in their family can go to class together and richly benefit from the experience. Each child participates at his or her own level in singing, moving, chanting, listening, watching, or exploring musical instruments. Any caregivers – parents, grandparents, nanny – can bring the children. The whole family is welcome for this important and memorable family music-making experience! Every child's development benefits from early exposure to music and movement. Because the early months are so important, Music Together offers two options for babies. Babies 8 months and younger may attend a Mixed Ages Class, whether registered on their own or attending free with an older brother or sister. 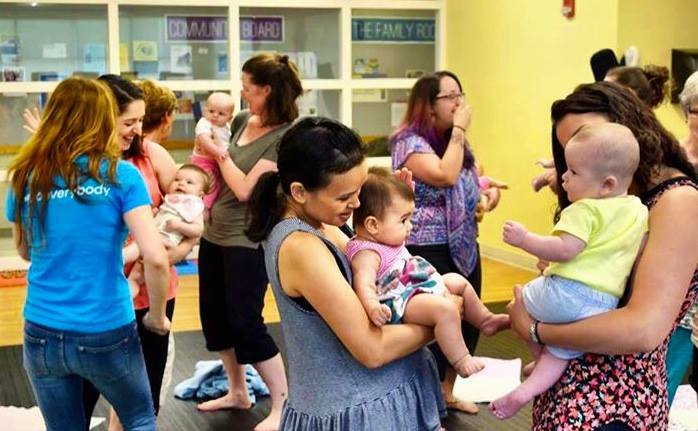 Babies may also take the special Babies Class offered as a one-time introductory semester to Music Together. This class is specially designed for infants 8 months and younger on the first day of class, along with a parent or caregiver. The music activities and materials are specially designed for parents who want to learn as much as possible about music development in babies and how they can support it within their everyday life as a family. Meet other parents and caregivers of newborns and learn some fascinating music activities you can recreate at home! 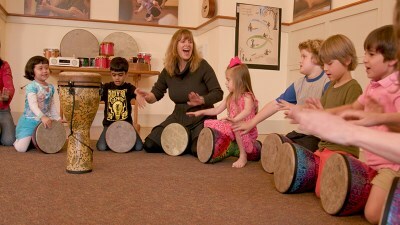 A Toca Colorsound djembe drum is included in your tuition for the first semester of Rhythm Kids. This becomes your child's own djembe to play with at home and bring to class each week. If you would like to purchase your own drum instead, please ask your teacher about the special discounts on djembe drums that are available to Music Together families.